The Echo Park Historical Society is digging through the archives to bring you tales and photographs unearthed over the past years. The anonymous authors left their work behind on bulletin boards and in pamphlets. If you recognize one of the articles as your own, please let us know! 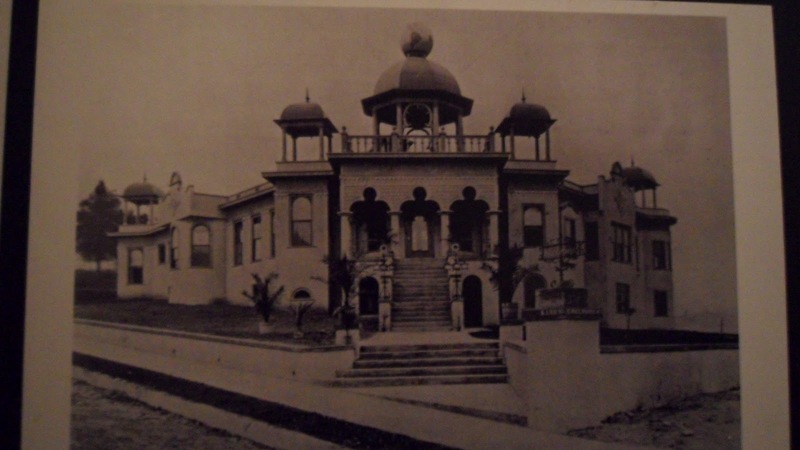 Up first, “The Victor Segno School of Success,” once located atop the hill to the west of Echo Park Lake and now occupied by the Lago Vista complex. 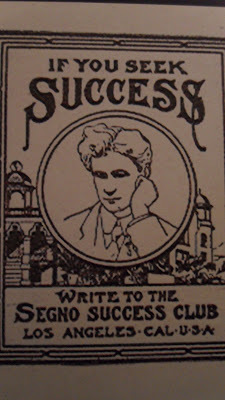 Before we had informercials, before self-improvement schemes were part of our city’s DNA, Los Angeles had the Segno School of Success — a dubious educational enterprise perched right atop a cliff above Echo Park Lake. In 1902, A. Victor Segno began promoting himself as someone who could read palms and guide Angelenos in the ways of “Mentalism,” the practice of putting ones brain waves on the right frequency — a practice that was sure to bring success. To get their brain waves in order, Segno promised to send out the right vibrations. But he also told his acolytes they could get the scoop on mentalism by mailing $1 to — who else? — A. Victor Segno. 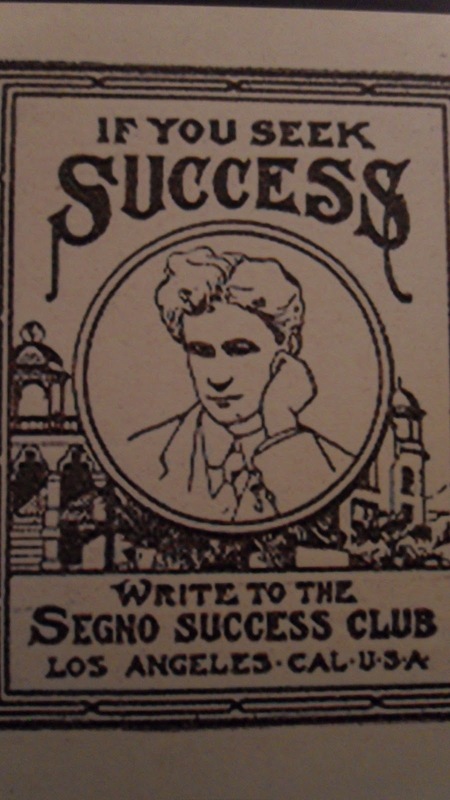 By 1903, Segno had 12,000 subscribers to his publications, a fact that infuriated an indignant Los Angeles Times. “It seems incredible that there should be even a thousand of cheerful suckers for every month of the ear who are clamoring for the opportunity to contribute $1 “per” for the support of a scheme so rank,” the Times wrote. 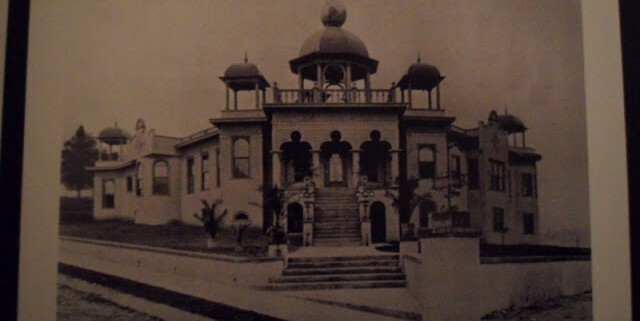 Segno’s popularity took off in 1904 when he built an elaborate two story-concrete building at Clinton and Bellevue Avenues, right above Echo Park Lake on the promontory he called Inspiration Point. With lecture halls, an octagonal reception room and distinctive domes, the building immediately grabbed the attention of anyone who walked around the park, then only a decade old. As it turned out, Segno wasn’t so happy about being married himself. In 1911, he ran off with his (also married) secretary, abruptly leaving town in 1911 to the consternation of the city. By 1915, he found himself in World War I-era Berlin. A few years later, Segno was back in Los Angeles pursuing other schemes. But his popularity had peaked, even as his educational palace was sold off to others. The School of Success, and the nearby Segnogram Printing, were demolished in the late 1960’s to make way for the complex known as The Lago Vista. Although the complex now houses 48 condos, a tiny piece of the old success factory — a cupola — can be seen in front of the red house across the street.